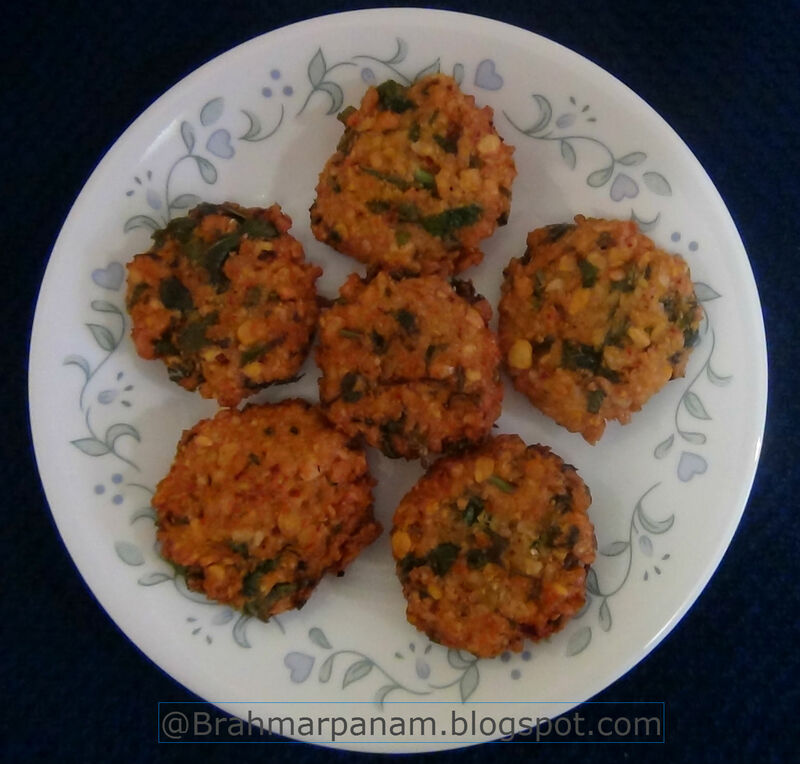 Another easy recipe from my mother's treasure chest with only very little ingredients and the best part is, the vada stays very crisp even when it is not hot. Soak all the dals for 30 min. Coarsely grind the dals along with green chillies, ginger, salt and asafoetida with just enough water. The batter should be thick. Mix the chopped Coriander leaves to the batter. Heat oil in a kadai and when the oil is hot, make small patties in the palm of your hand and drop it in the oil carefully. When the vada turns golden brown flip it and remove it with a slotted spoon and drain the excess oil on a paper tissue. Serve crisp vadas hot or cold.